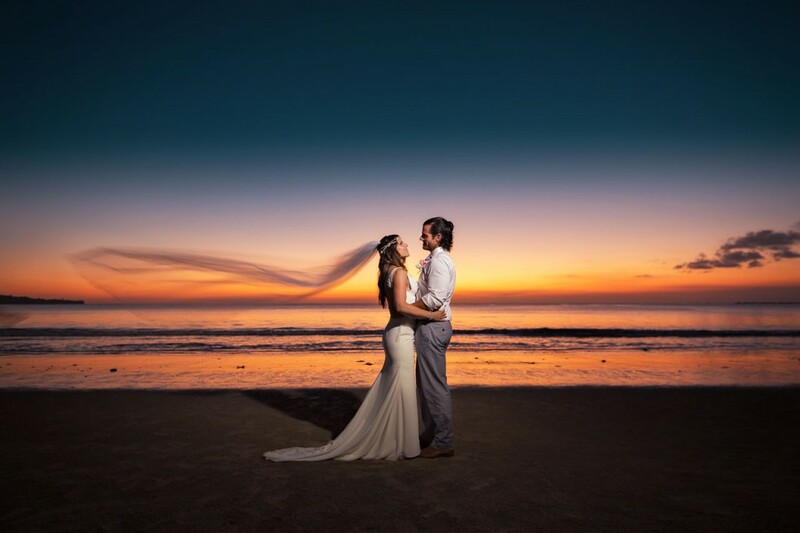 Bali is an island of outstanding beauty and therefore one of the world’s most popular destinations for pre-wedding, engagement and honeymoon photography. Spectacular beaches, beautiful rice paddies, mystical forest and dense jungle environments plus a unique architecture - you have it all in Bali. 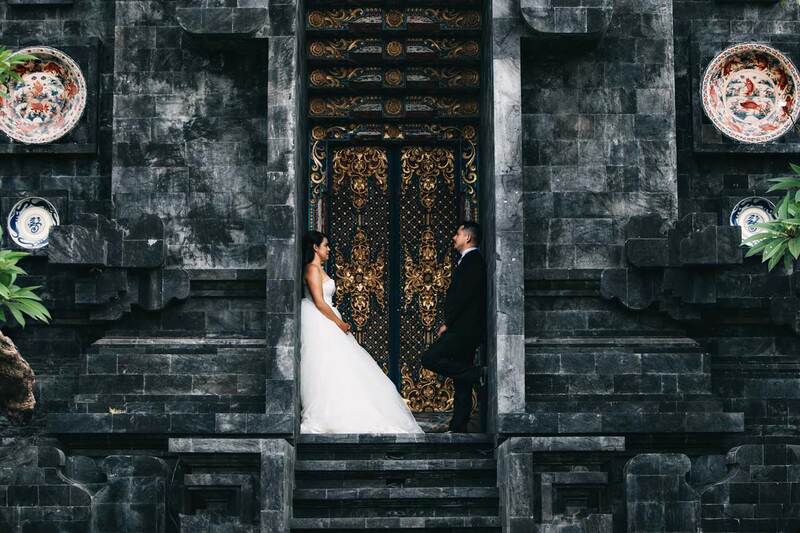 In this article we are going on a journey around Bali and discover how you can find the perfect spots and environments for your pre-wedding photographs. 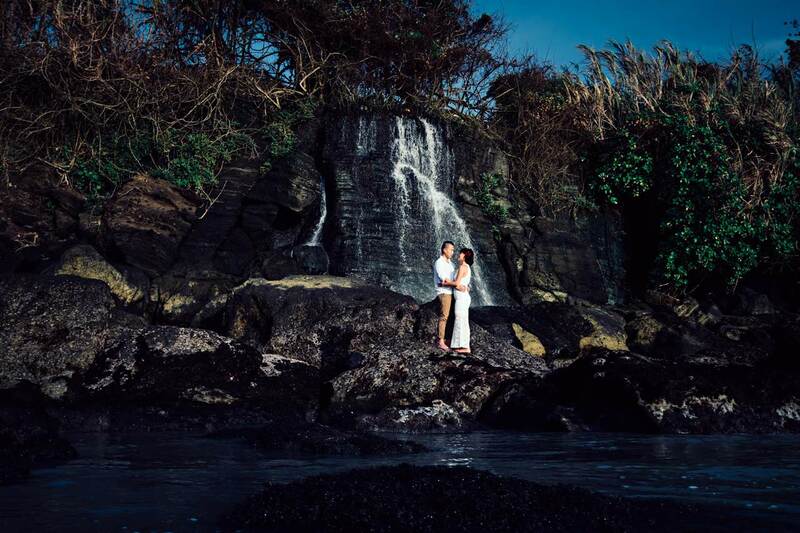 Many couples like you have asked what are the best locations for pre-wedding photos in Bali. In this article, I will try to answer this question. 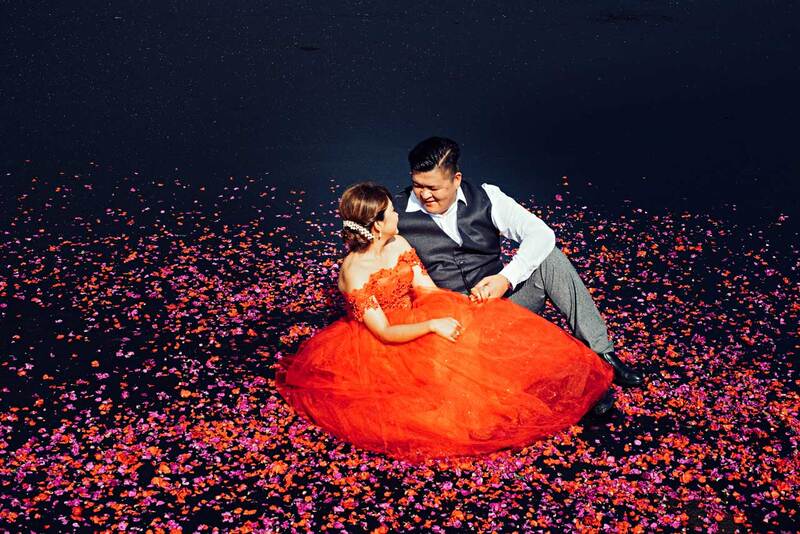 I am a big fan of wedding & pre-wedding photography. So this is a topic very dear to my heart. 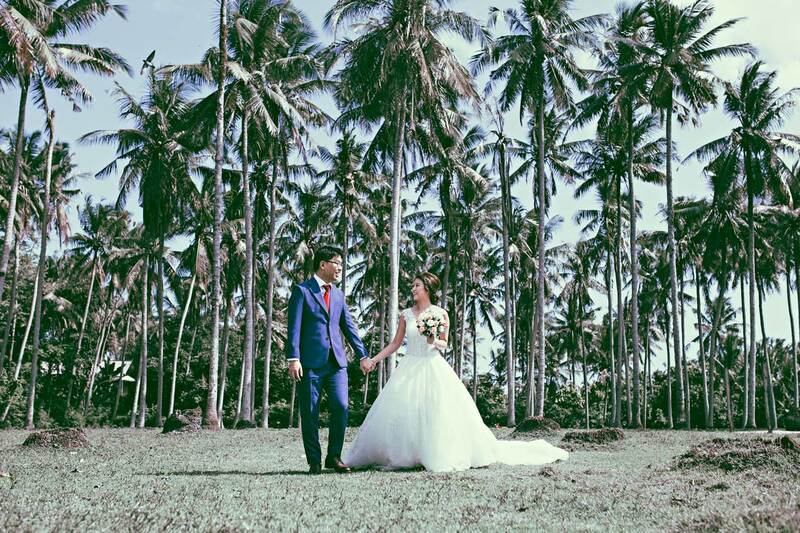 I also have worked for several years for one of Bali’s most renown pre-wedding photographer as a manager. And I have been doing the logistics at many photoshoots in Bali. Because of this, I have seen a lot of beautiful photo locations in Bali. And have been on almost every corner of Bali. 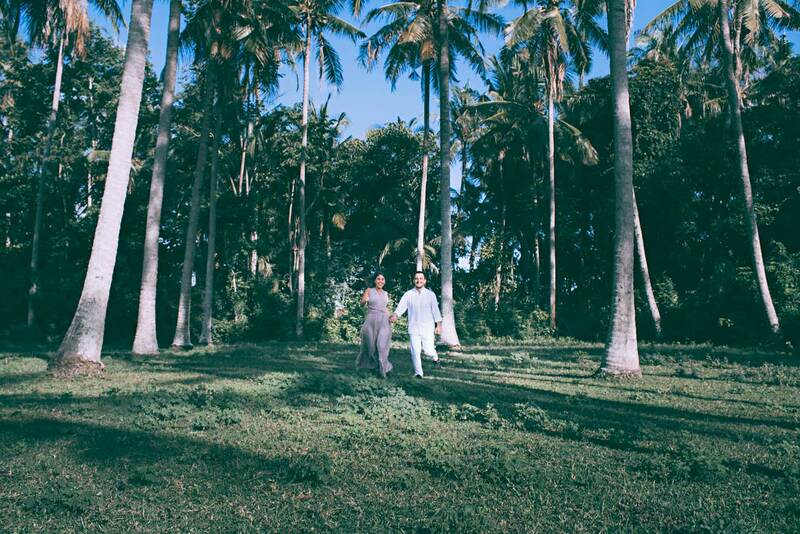 So let’s examine where in Bali you can go for your pre-wedding pictures. 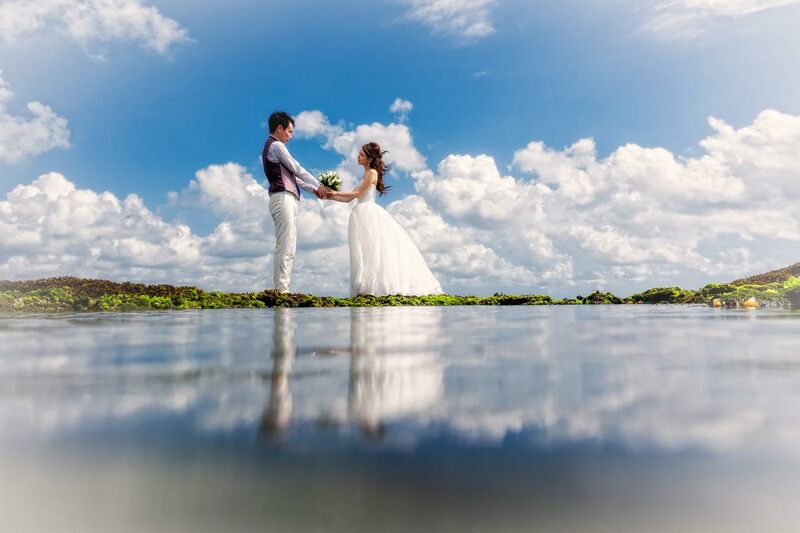 And we will also look at some places that are not so good for pre-wedding and honeymoon photography in Bali. First things first: Bali has a sheer abundance of great photo locations. 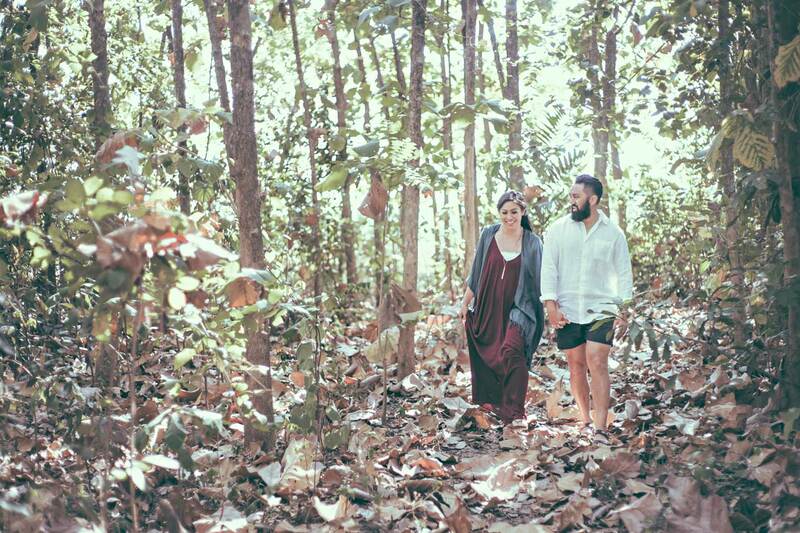 It will not be possible for you to visit all those locations during your pre-wedding photo shoot in Bali. 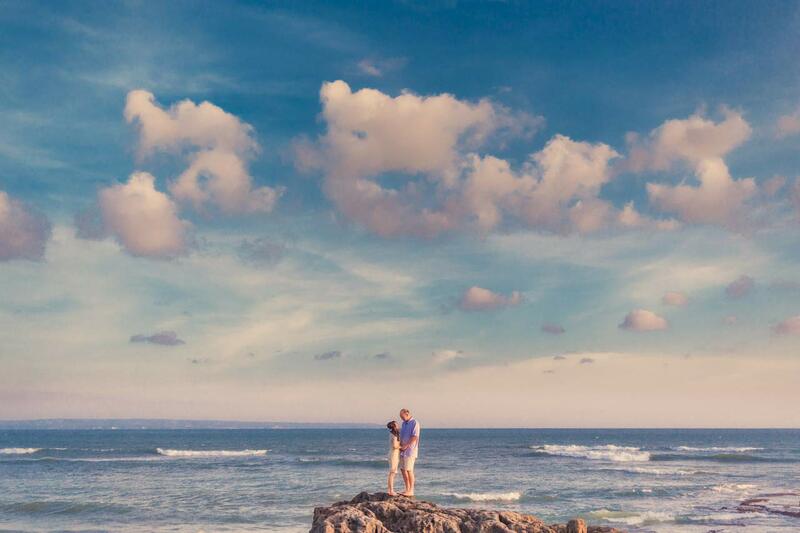 Let’s see some photographs from some of the best and most popular pre-wedding photographers in Bali first. Bali has several hundred kilometers of beaches - 370 km to be precise (Source: Wikipedia - BALI). The beaches in Bali come in many different ‘flavors’. This is how an ideal beach for pre-wedding photography should look like - wide, empty and no dirt. 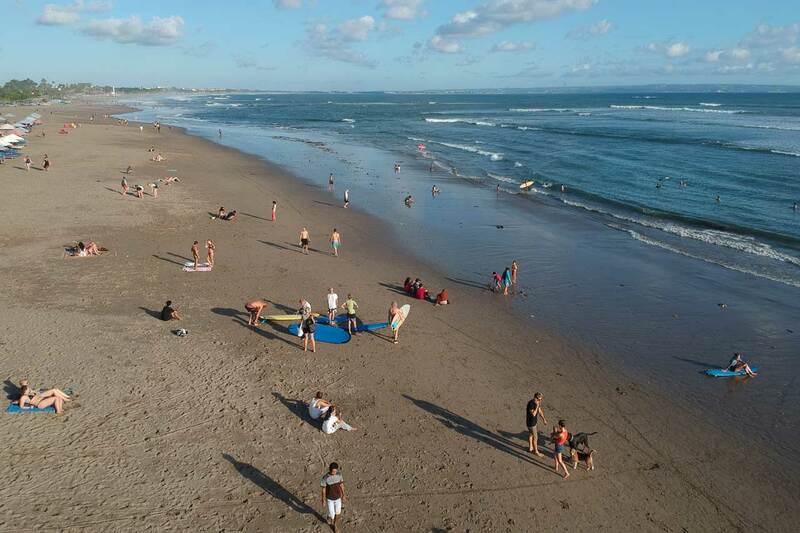 Above all, you should avoid the most touristy beaches such as Kuta, Legian, Seminyak, Nusa Dua and also Canggu. Because those beaches are usually very crowded making it difficult to take photos there. 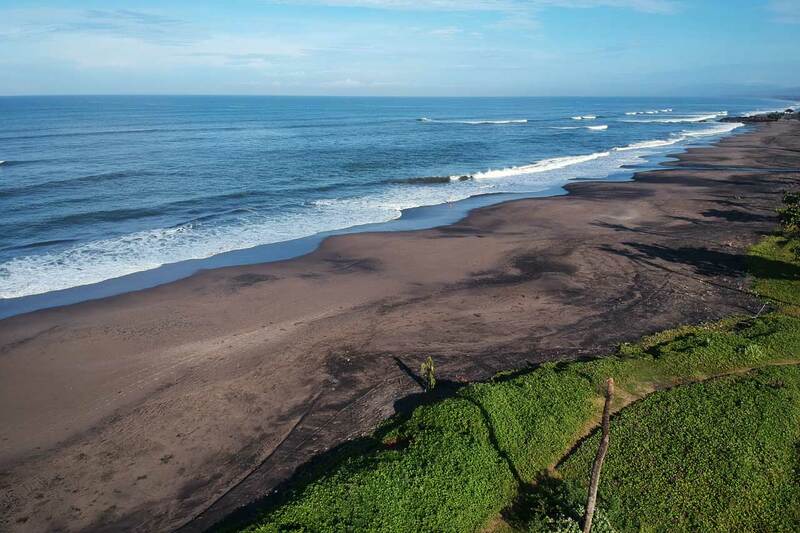 Once you travel a little bit away from Bali’s touristy areas you can find an abundance of wide empty beaches. Most beaches in the tourist regions of Bali are very crowded. 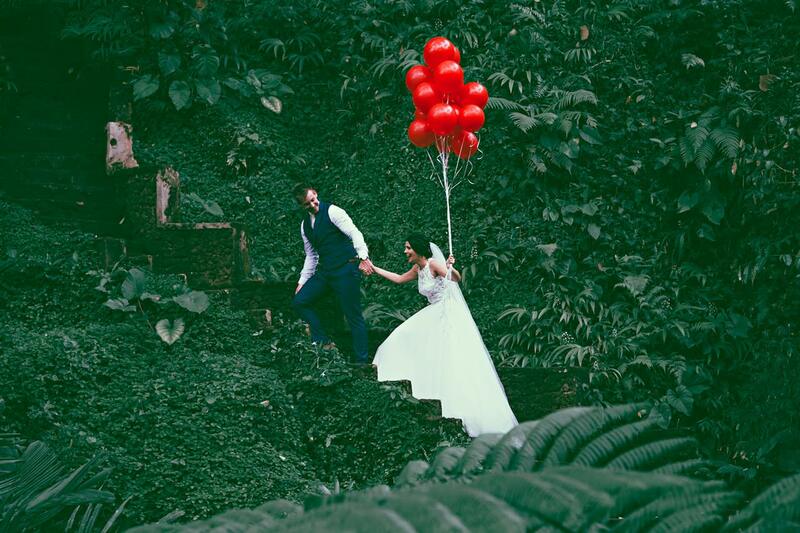 Make sure you do not end up in a location like this for your pre wedding photos. 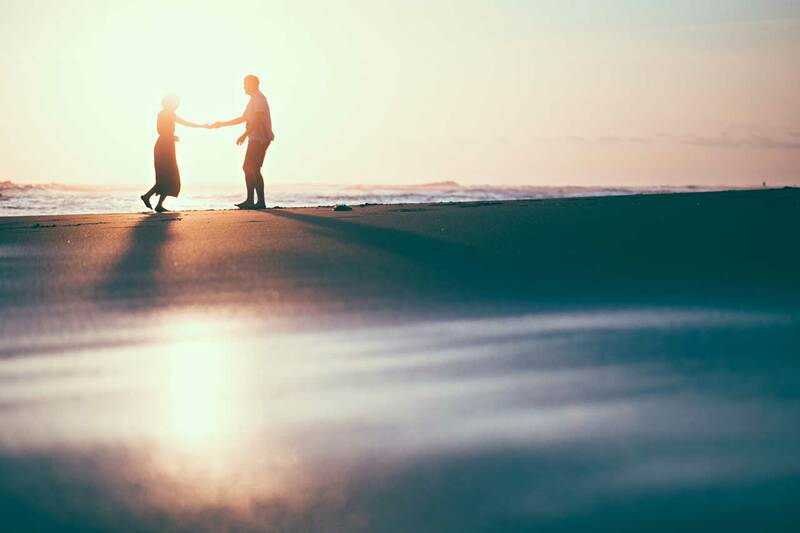 It is best to ask your pre-wedding photographer which beaches he will bring you to. Pardon me for repeating myself: Avoid ‘famous beaches’. 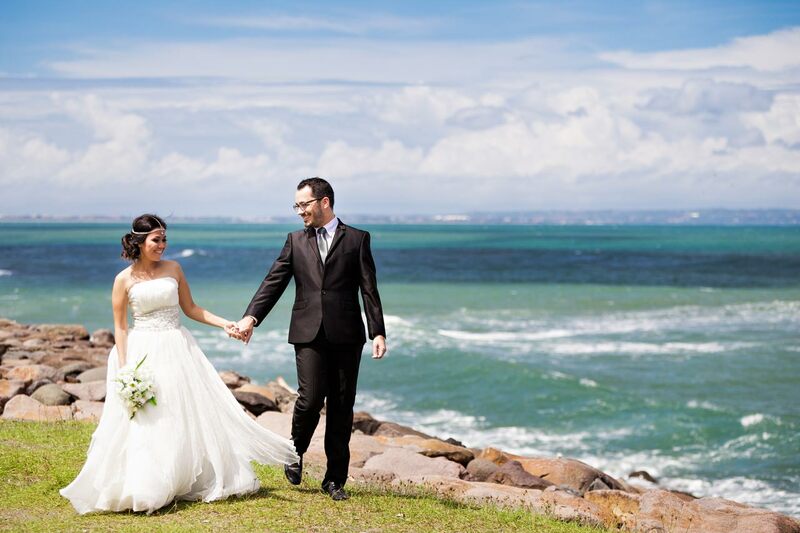 Therefore, it is actually a good thing if the beach your photographer recommends is one that is not mentioned in any guide book or websites. Finding rice fields and rice terraces in Bali is easy. Because Bali is a mostly agricultural and the main crop is rice. 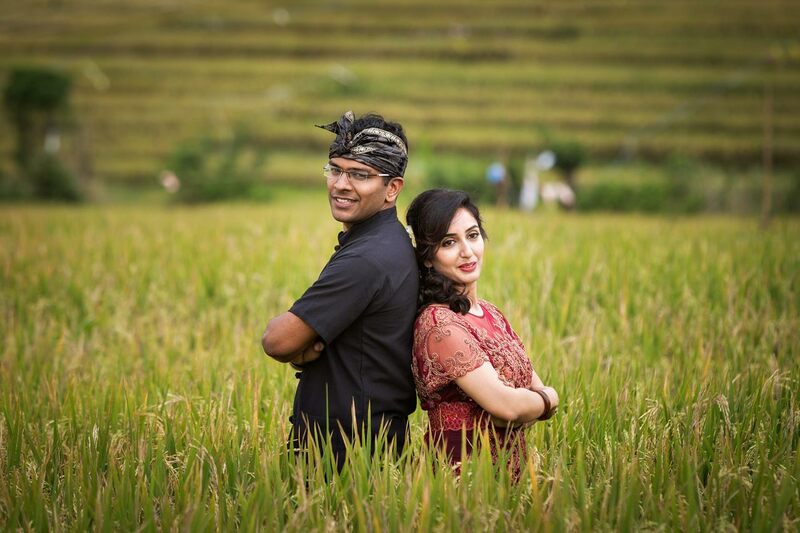 Many Bali pre-wedding photographers like to go to Ubud for rice paddy photos. In fact, so many photographers go there that those places started to charge fees. That is completely unnecessary. Because there are so many rice field locations that are equally beautiful and where you do not need to pay money. However, do not expect to find any rice terraces in Kuta, Legian, Seminyak, Nusa Dua or in the Bukit / Uluwatu area. In my experience, the best looking rice terraces in Bali are to be found in Tabanan regency and in Gianyar regency. There are literally hundreds of rice paddy locations that look spectacular and your photographer will know best where to find them. Finally, keep in mind that rice fields will not always be green and beautiful. Because rice is a seasonal plant. 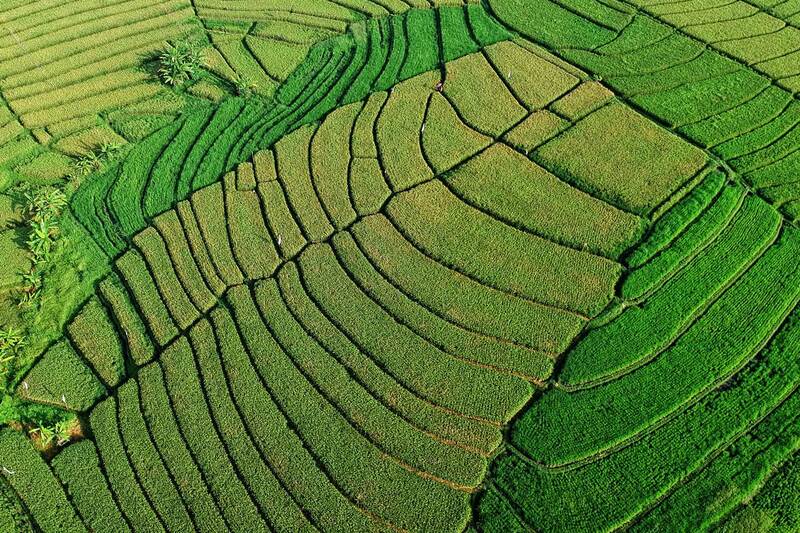 Green, nice looking rice fields can be found at any time of the year. But where those rice fields are will vary from month to month. It can be problematic if you ask for a specific rice field location. Or send a photographer a picture you have seen somewhere on the Internet. Why is that problematic ? Because photos at a rice field only look nice when there is rice on that field and when it is green. But what if there are no rice plants on it ? Because it just has been harvested. Or if the rice field is just being prepared for the next planting ? 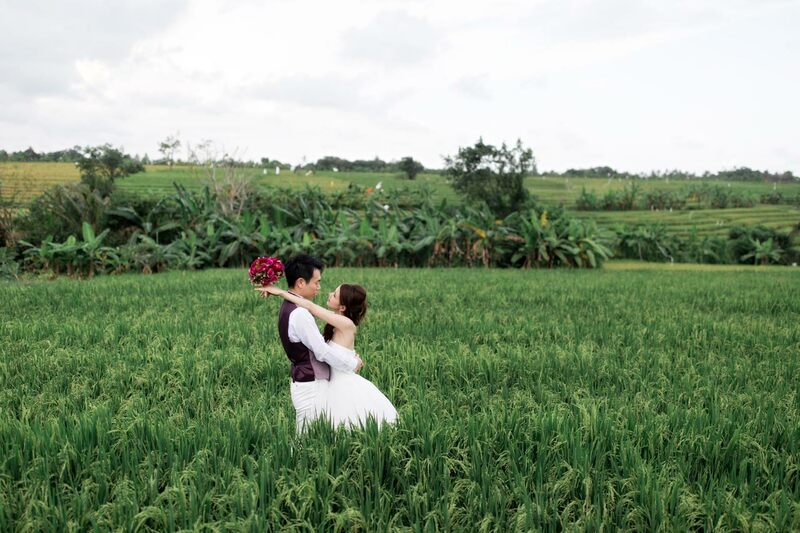 Therefore it is best you leave it up to your photographer to find a location with nice looking rice paddies. Bali has a lot of forests. And there are different kinds of forests. Bamboo forests, coconut forests, teak forests, and even some real dense jungle. Therefore finding a forest location should be not too difficult. 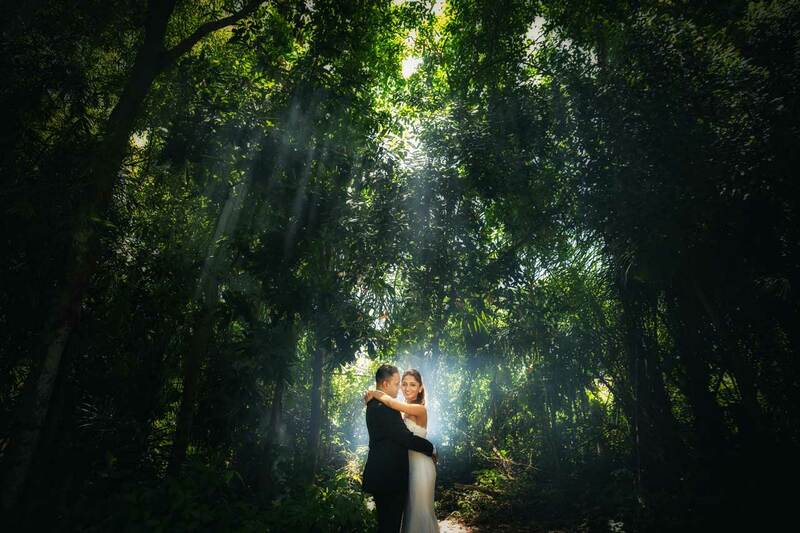 Depending on the route your photographer will bring you it is not necessary to drive far because even in some densely populated regions of South Bali you can find smaller patches of forests. 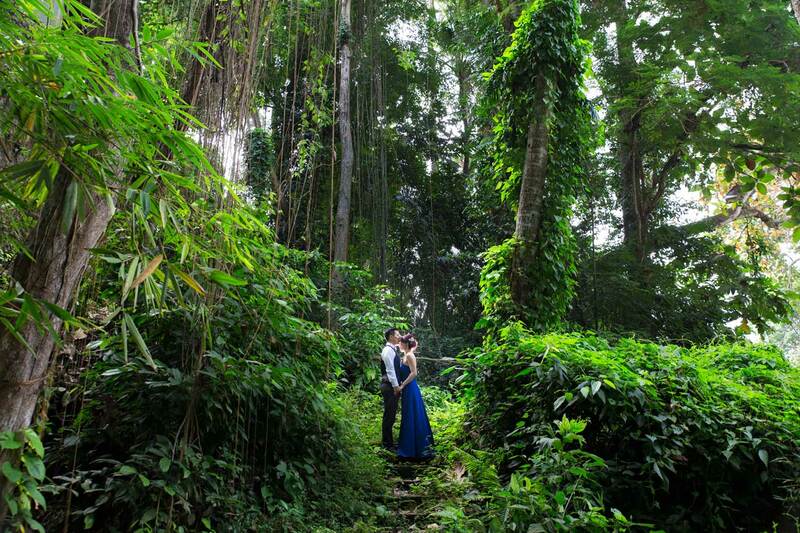 Ultimately, it is best to consult with your pre-wedding photographer in Bali if he or she offers forest locations. If your photographer tells you that he knows this or that great forest which requires an hour or more traveling time then take that advice with a grain of salt. Because most of the time the next forest is not that far away. 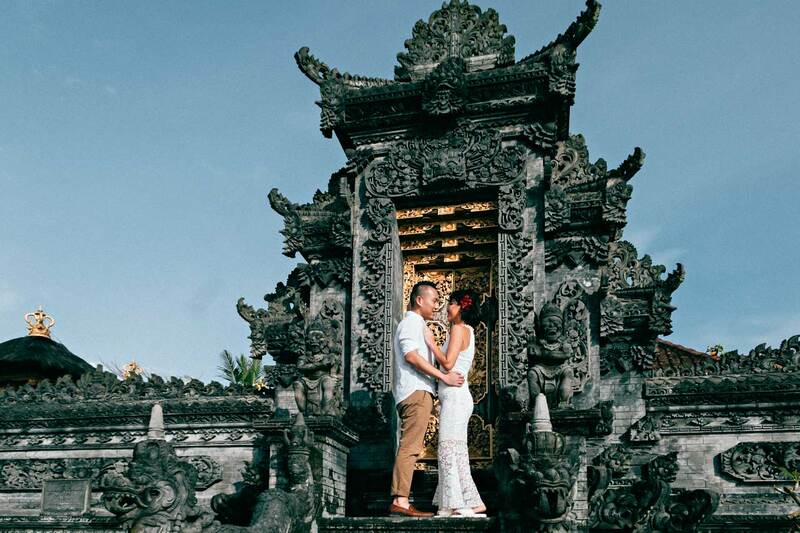 Another beautiful and also popular backdrop for your pre-wedding photos can be Balinese architecture. And most of the interesting architecture in Bali is to be found at temples. Above all: Remember temples are first and foremost places of worship - not photo locations. 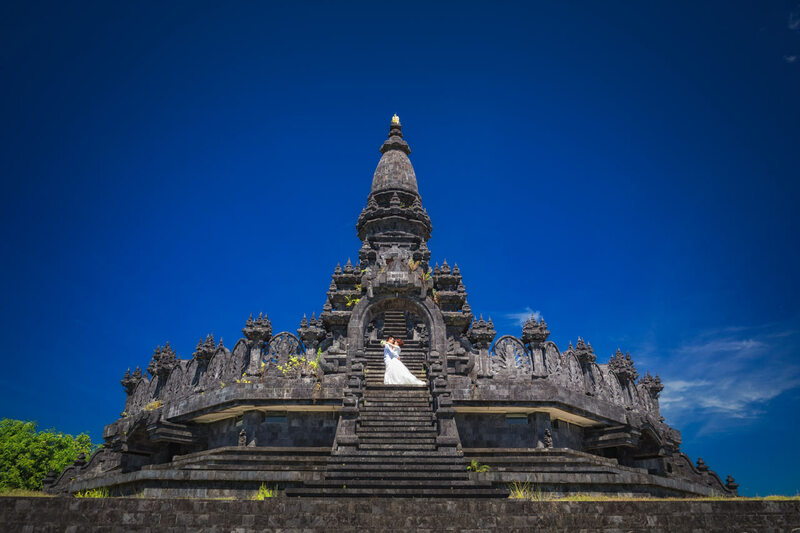 Generally, the Balinese do not like their temples to be used as backdrops for photoshoots. However, some more famous temples have been opened to tourists. Unfortunately, those are usually so crowded that it is difficult to make photographs there. The good news is that there are thousands and thousands of small temples in Bali. Most photographers should be able to find a temple where it will be possible to make photographs for you. In my experience, the best temple locations can be found in smaller village temples. Don’t be surprised if you ask your photographer about the temple he is going to take photographs at and you will not be able to find anything about this temple anywhere on the Internet. Bali with its volcanoes has very scenic mountain spots. There are some amazing places in the Kintamani region and throughout Klungkung regency. As well as in parts of North Bali. If spectacular mountain locations are your priority then Kintamani may be perfect for you. 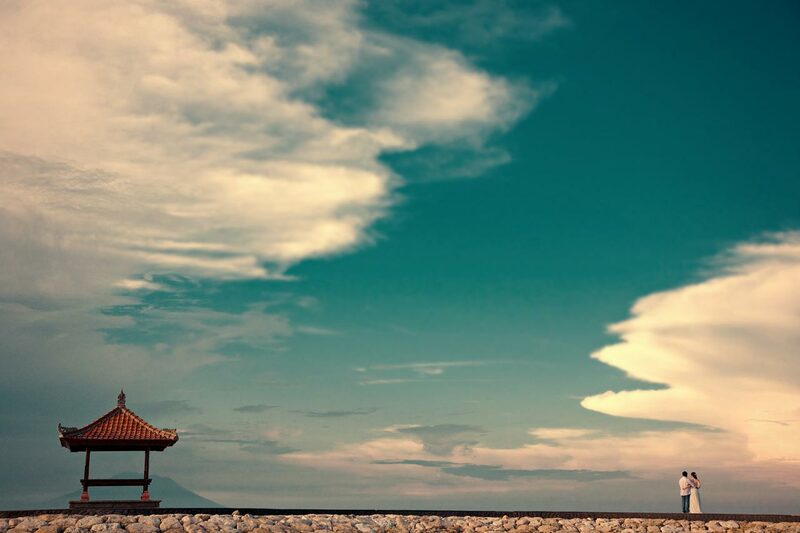 Kintamani is also where one of Bali’s famous volcano is to be found and you may get lucky to have a fantastic photo with the volcano in the background. And there is another problem. It takes many hours to reach those mountain locations. Few couples are willing to drive for 2-3 hours, take photos for 10-15 minutes and then drive back again to other locations. Therefore, mountain locations are less popular and you may lose a lot of your time for commuting. There are 4 lakes in Bali. Three of them are in Bedugul – Gianyar regency, one is in Kintamani – Klungkung regency. Among the lakes in Bedugul Bratan is the most famous one. And because it is famous it is usually so crowded that it is difficult to make pre-wedding photos there. 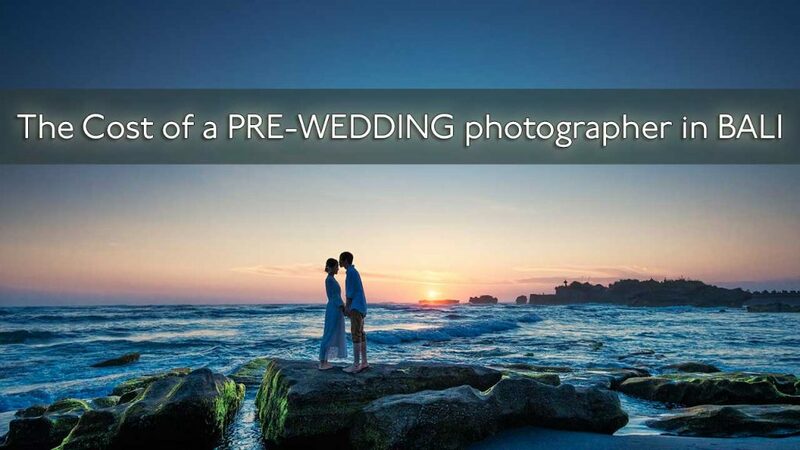 As a result, the only way is to come very early - It is also rather expensive to get the permit to do pre-wedding photos there. Consult with your photographer. The other two lakes, Tamblingan and Buyan are less crowded but a bit difficult to access. Again: rather steep fees can apply to take photos there. Ultimately, if it is worth to drive for 2 or more hours back and forth for some like-side photo locations is something only you can decide. 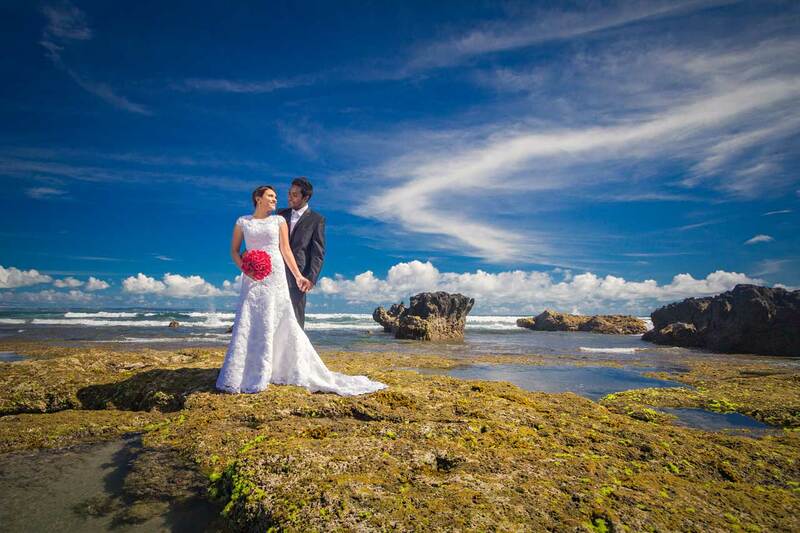 For your pre-wedding photos in Bali avoid going to crowded tourist sights like Uluwatu, Tanah Lot, Besakih and so on. Because those famous tourist sites are usually flooded with masses of tourists. Which makes it difficult or even impossible to make great photographs there. To make matters worse, some of those ‘famous’ tourist locations charge very expensive fees for taking professional photos there. Also, there are just as many non-touristy locations that look as good as those famous places but without an overload of tourists. 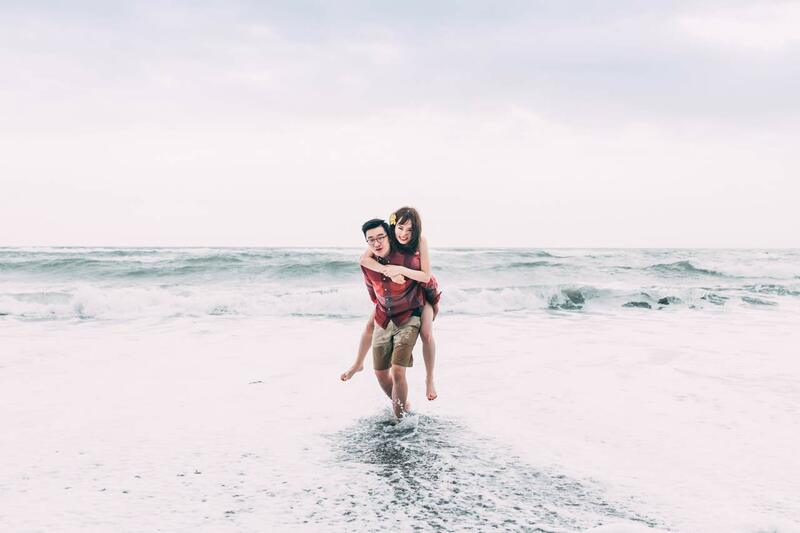 In the following, I want to show you several of my favorite pre-wedding / engagement photographs from Bali. These photos were taken at random locations by various photographers. What all those photos have in common is that they were taken at locations which are not special in any way. But they were taken by good photographers and at the right moment when the light was perfect. So they look very beautiful. So the main point is: Who you choose as your photographer is much more important than going to this or that location. Because a good photographer will always make great photographs for you. Whereas if you go even to the most beautiful spot in Bali you may still end up with just 'so-so' photographs if you choose just a 'so-so' photographer. Some brides want to take matters into their own hands and do some research on the Internet. They then approach the photographer and say 'I have seen this and that great location and that is where I would like to go'. But there is a very easy way to get an idea on how long it will take to drive from one location to another. Just use Google maps. It will tell you how long it will approximately take. As simple as that. 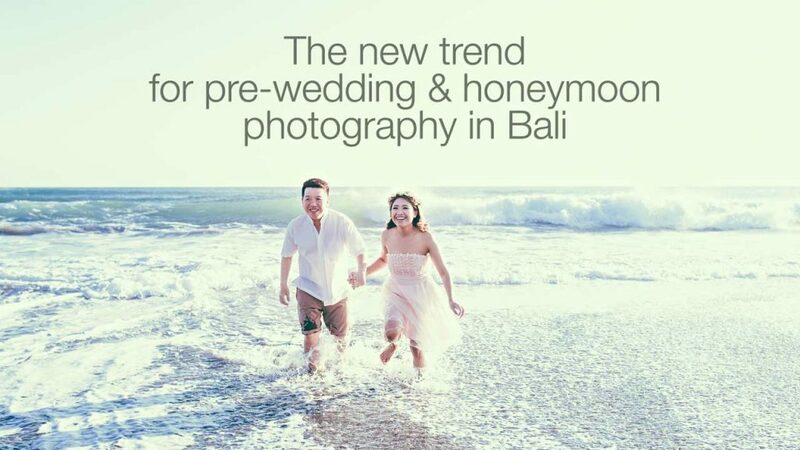 And a final word of advise: Pre-wedding photography in Bali has been going on for well over 10 years. 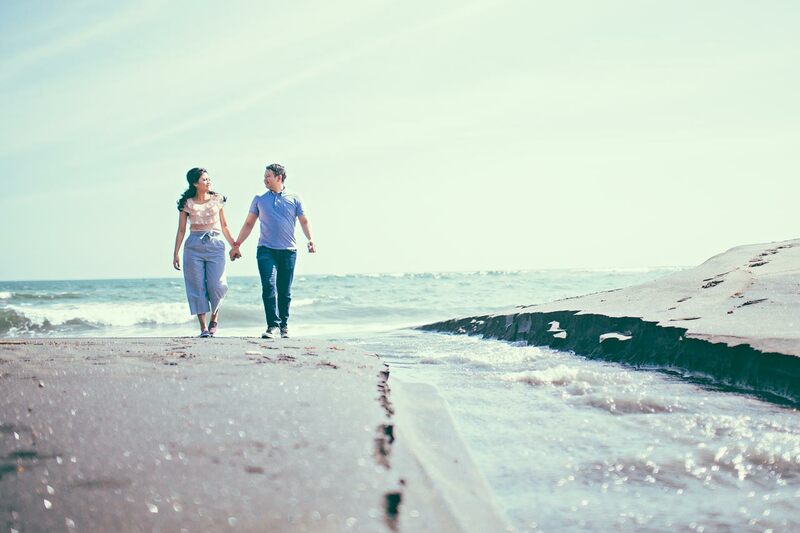 And some locations that were great a few years ago are no longer available or have become very crowded or expensive for pre-wedding photography. 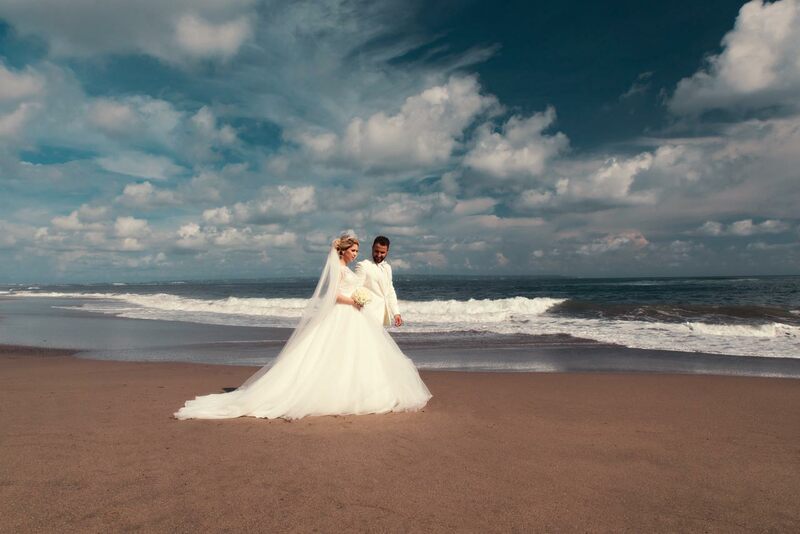 So dear reader I hope you have found this article useful and it will help you to find the best locations for pre-wedding photos in Bali. 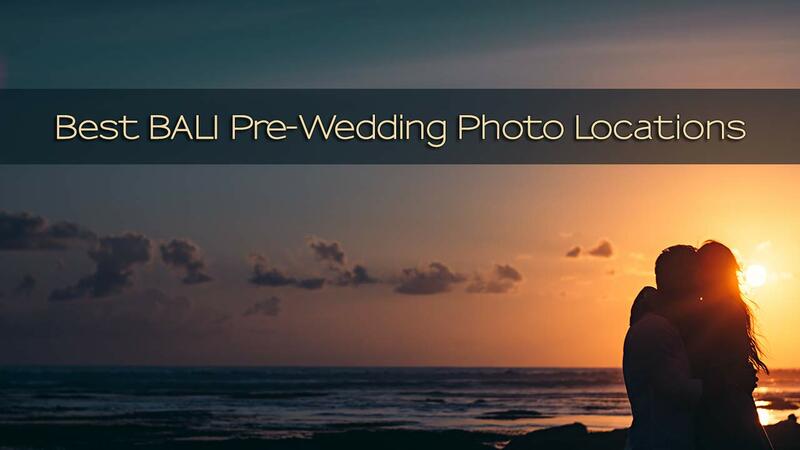 If you want me to help you find a pre-wedding photographer for you in Bali please press the button below. If you have any questions or suggestions or if you would like to share your experiences with us please write me an email or leave a comment down below.